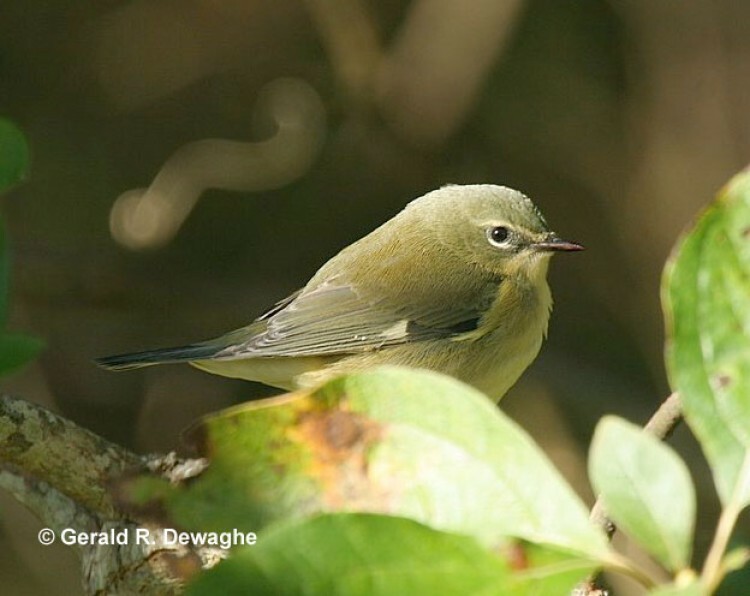 Male and female Black-throated Blue Warblers look so different from one another that even John James Audubon thought they were different species. Unlike many other warblers, Black-throated Blue Warblers do not molt into a different plumage in the fall, and so can be easily recognized year-round. 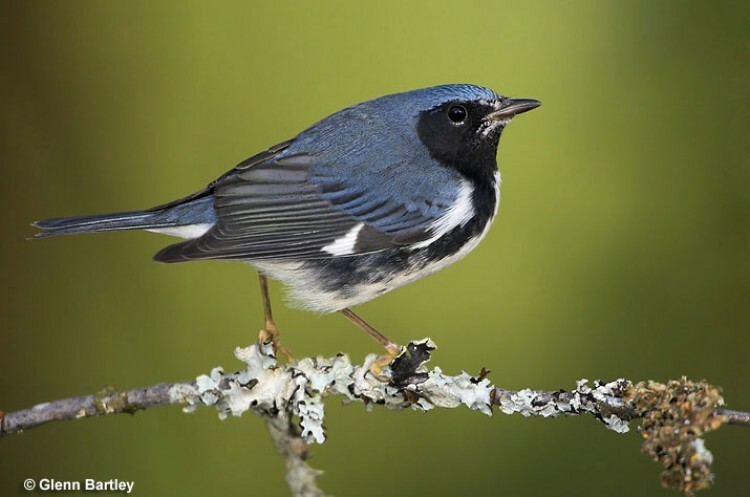 Male Black-throated Blue Warblers are quite aggressive in defending their nesting territory, and chases between males are very common in the spring and early summer. Individuals are solitary in the winter, and often defend the same winter territory from one winter to the next.